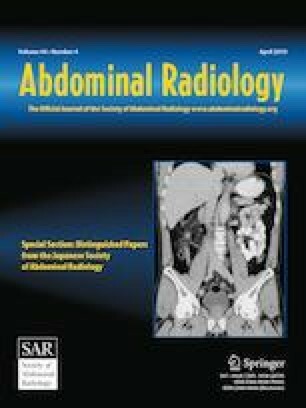 To examine the value of spectral CT quantitative parameters in gastrointestinal stromal tumor (GIST) risk classification. This retrospective study was approved by the institutional review board. The requirement for informed consent was signed. The authors evaluated 86 patients (30 high risk, 22 medium risk, 28 low risk, and 6 very low risk; mean age: 59 years [range 19–83 years]) with pathologically confirmed GIST who underwent plain and triple-phase contrast-enhanced CT with spectral CT imaging mode from March 2015 through September 2017, with manual follow-up. Quantitative parameters including the CT value of 70 keV monochromatic images, the slope of spectral curves, and the normalized iodine concentration (NIC) and water (iodine) concentrations were measured and calculated, and conducted a power analysis of the above data. (1) The CT values at 70 keV of the high-risk group were higher than the intermediate and low groups in each of the enhanced phases (P ≤ 0.001), no significant differences in the intermediate-risk and low-risk groups were noted (P = 0.874, 0.871, 0.831, respectively). (2) The slope of the spectral curve of the high-risk group was higher than those of the intermediate and low groups in each of the enhanced phases (P ≤ 0.001), and there were no significant differences between the intermediate- and low-risk groups (P = 0.069, 0.466, 0.840, respectively). (3) The NIC of the high-risk group significantly differed from the lower risk groups (P ≤ 0.001). There was also no significant difference observed between the intermediate- and low-risk groups (P = 0.671, 0.457, 0.833, respectively). (4) The power analysis results show that only the low-risk group with delay period is 0.530, the rest groups are all greater than 0.999. Dual-energy spectral CT with quantitative analysis may help to increase the accuracy in differentiating the pathological risk classification of GIST between high risk and non-high risk, preoperatively. There were limitations for distinguishing the intermediate- and low-risk groups. This research was supported by the Talent Innovation and Entrepreneurship Project of Lanzhou: Project Name—Application value and technological innovation of dual-energy spectral CT in thoracic and abdominal tumor (No. 2016-RC-58).